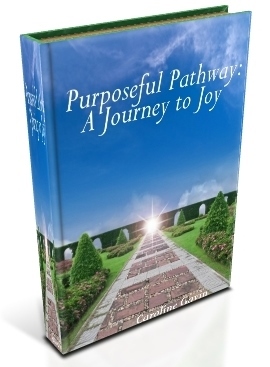 Dave Moore will join Purposeful Pathway Radio tomorrow, August 22nd at 1:00 p.m. EDT. Enjoy the interview tomorrow and also his guest post below. I would like to talk about some of the miracles that I have witnessed. I probably will not talk about the ones that I wrote about in “The Father’s Love.” But I might at a later date. After God answered my prayer for the return of my son in such a miraculous way in “The Father’s Love” I was a completely changed man. I was delivered from smoking, drinking, anger, hatred, lust, and much more. Most everyone that I knew could not believe it. Most thought that it was temporary, that I would “get over it.” It has been almost ten years and I still did not get over it. God’s power is real, awesome, and everlasting. I remember the first few Sundays my wife Dorinda and I went to church after my transformation. When the offering plate came around I was giving everything that was in my wallet, hundreds of dollars, nearly my whole weeks pay. You see, God had become real to me. Oh, I always believed in God, but He had become REALLY REAL to me. The creator of everything, EVERYTHING, this earth, universe, us, had taken the time to hear my desperate cry for help, my prayer of surrender of my will for His will, and had “instantly” answered my prayer! Wow! After a few weeks I realized that I needed a place to be alone with God. Two of our sons had already moved out and that left us with an empty bedroom. My wife had plans to turn it into a closet for her. I had plans to turn it into a prayer room. A “secret place” for God and I to meet. I won this one. We would begin by giving the room a fresh coat of paint. We began to gather items that we felt needed to be in a prayer room. Pictures, candles, a rustic table for books, anointing oil, special items that would give the room a personal touch. I found a light-up fluorescent cross for the wall ( a tad bit smaller then the one on the wall at church). Now it was finally coming together. But, we lacked one more important item, a chair to sit in when reading. I began to visit local furniture stores to scope out that “perfect” chair. I visited several stores. I looked online. I found many that were perfect, but none of them felt just right, so we waited and continued searching. My Pastor Ron Stewart had scheduled a work day at the church for the Saturday coming up. My wife Dorinda and I both went. A few hours after beginning work my wife came and found me and said to come with her that she needed to show me something. Helping to empty out an old storage room she had found an old two seat pew that the church was going to throw away. It was the perfect size, it matched the prayer rooms color, it felt right! We took the pew home and put it in the prayer room. We loved it! That night my wife called her parents in Alabama. Her father the Reverend G.J.Chandler, was the former Pastor of our church and had built the building where we now worshiped God. He told us that that was the pew that he always sat in before he came to the podium to speak! We had waited for the perfect seating for our prayer room and we had found it. Looking over the pew that night I found a prayer cloth stuck underneath where someone had placed it years ago. It is still there! Praise the Lord! Miracle? Maybe. We were so happy that I know I went to bed with a huge smile on my face. The next morning, Sunday morning, I awoke early just at daylight. I could hear this amazing singing, angelic, coming from somewhere. It was soft but penetrating. I slowly crept out of bed and edged my way towards the prayer room. It was coming from inside. I was frozen with anticipation. Should I open the door and look? Did I really believe what I was thinking? An angel singing in our newly finished prayer room? My whole body had goosebumps. Big ones. As I reached for the door handle my eyes must have been as big as saucers! As I slowly opened the door the singing stopped. I sat down in the pew, my body trembling with joy! The Holy Spirit let me know that God was pleased with our new secret place. I wept tears of joy and love for my King! He was pleased! I did not mention this to Dorinda until the following week. As she stood in our kitchen I told her about what I had heard. She was amazed. Just then my son David came walking into the kitchen with eyes wide open. He had overheard me telling Dorinda about the angel singing. He had heard it also but was afraid to tell us until he heard me talking about it. Confirmation. God loves us so much that He sent an angel to let us know that He loves it when we love Him back! Glory to God!